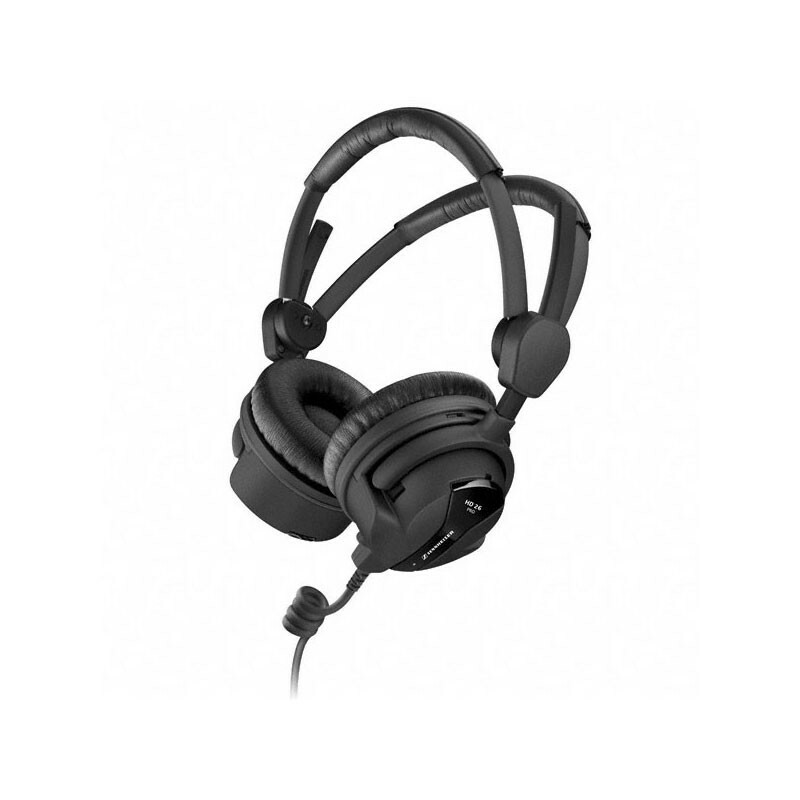 The Sennheiser HD 26 PRO is the perfect headphones for radio and television broadcast productions. Because of its closed design this headphone is perfect for outside productions as well. The accurate sound reproduction allows demanding applications. Soft ear cushions and the low weight guarantees enourmes wearing comfort even in long term use. The HD 26 PRO comes with the ActiveGard™ to protect the hearing from sudden audio peaks more than 105 dB. The ActiveGard™ can be activated or deactivated via switch.